Snow is in the air. Lights are on the trees. The sky is getting darker and we're all thinking warm thoughts and looking forward to good food with friends. It must be Epimas season! To celebrate, our games are available through Epiclaus until December 24th as part of a special holiday deal. Purchase one game for a friend, which will be sent to them on the 24th, and receive a second one for yourself for free. 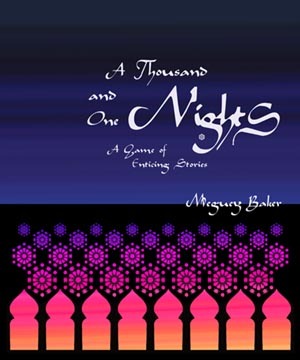 You get to choose from our games: 1001 Nights, Breaking the Ice, Shooting the Moon, Under my Skin, as well as the goods from lumpley games, ndpdesign and Dig 1000 Holes. Wishing you happy holidays, and a lovely year's close and new beginning! Today's the last day of the sale. Happy Epimas, everyone!